Over the years, many brands beyond the original five have released their (smaller) versions of this design, and the five brands themselves have not been averse to doing the same. However, reissuing them in a 55mm case hasn’t been so common. In recent years, Laco has done this a couple of times, and this FL 23883 (Ref. 861771) Observation Watch has been its latest effort. 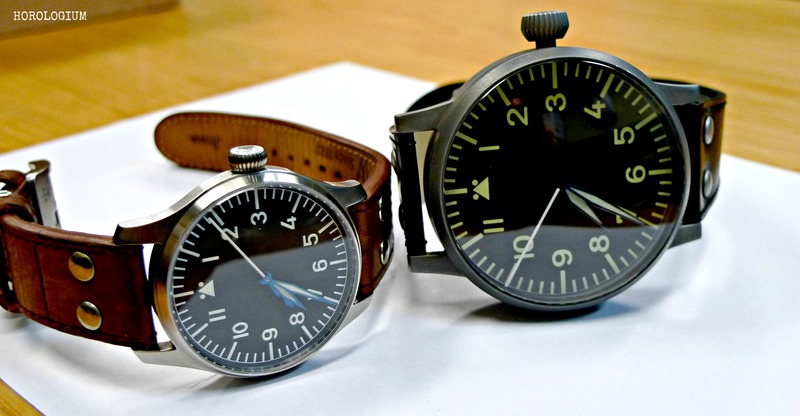 Only a hundred of this newest limited edition have been produced, with what is called the A-Baumuster (or Type A) dial. The case is laser engraved (between the lugs) with the original ordnance number FL23883, and the stainless steel case back has been similarly engraved with the original details but including, in this instance, the watch’s limited edition number out of a hundred. A double-arch sapphire crystal that gives this already huge watch a height of 20 mm. The black dial has SuperLumi-Nova C3 indicies, which is also used to fill the hour, minute and second hands. The hands have been finished in a blue lacquer. 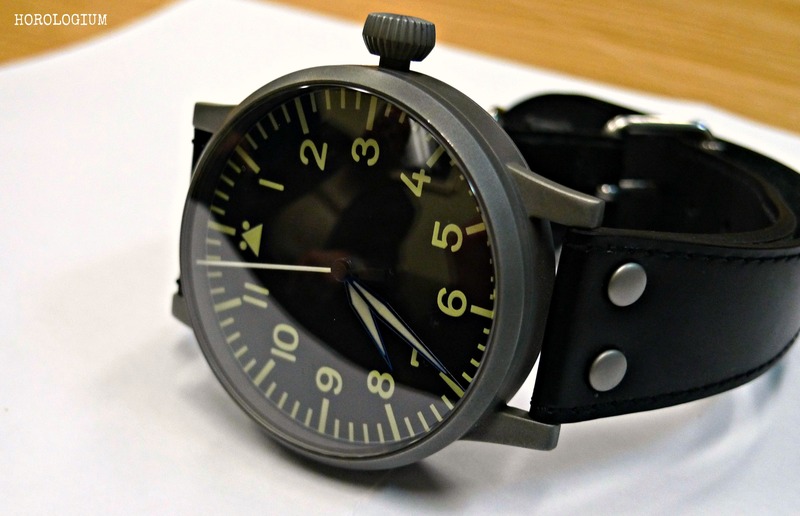 In keeping with the original design, the watch has a black, closed-loop aviator strap made of calf skin. Inside is an ETA A07.111, modified to a manual wind with hacking. 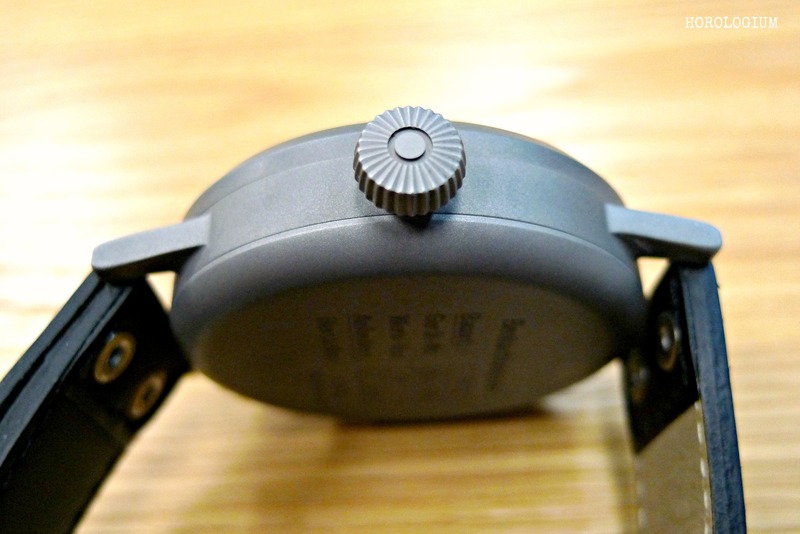 Although you can’t see it, Laco states that the modified ETA is decorated with a Geneva grinding finish, perlage and blued screws. It is 28.800 VPH with 24 jewels. ISO 3157:1991 defines color codes for the daylight appearance of lume, i.e. when it is not glowing; C3 is yellow. To state the obvious, this is a huge watch. It’s not just large but it’s thick, and it’s heavy. I’ve seen the MeisterSinger 55mm, and that feels smaller than this Laco. Having toyed with the idea of getting a Laco 55mm (Type B dial) over a year ago, I can now safely say, after having tried this one, that I am glad that I didn’t. 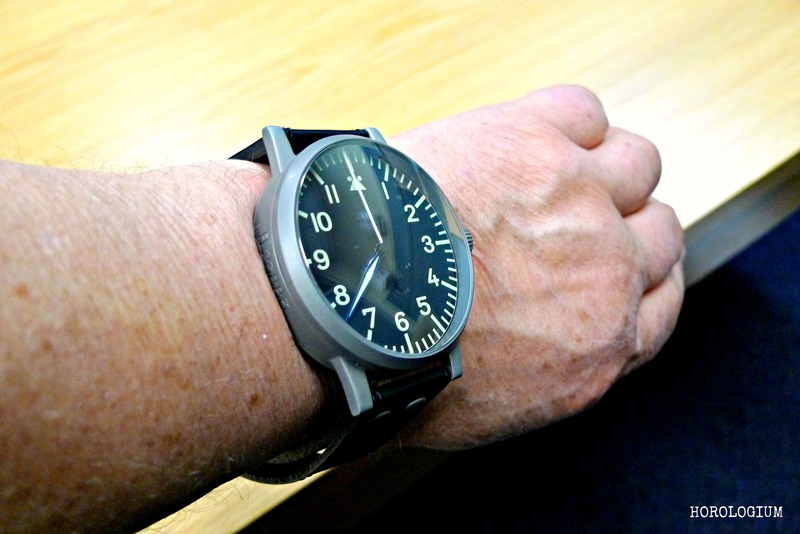 It’s simply impossible for me to wear, even for a bit of a lark, and though I am prepared to do the odd daft thing in the name of watches, wearing a 55mm watch over a pilots’ jacket is stretching it a step too far. As you can see, it looks big but not stupidly so, on its owner’s wrist. He can wear it with panache and has been enjoying it immensely. 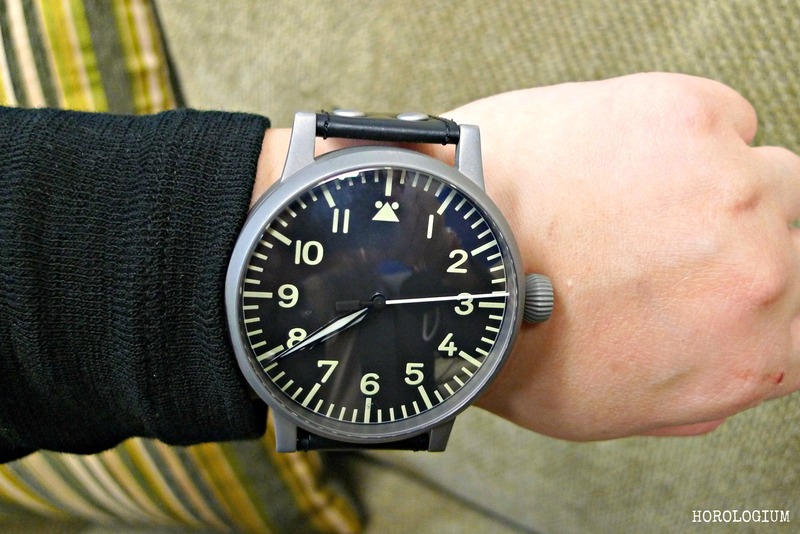 It’s a big gamble, to purchase a watch of this size sight unseen. 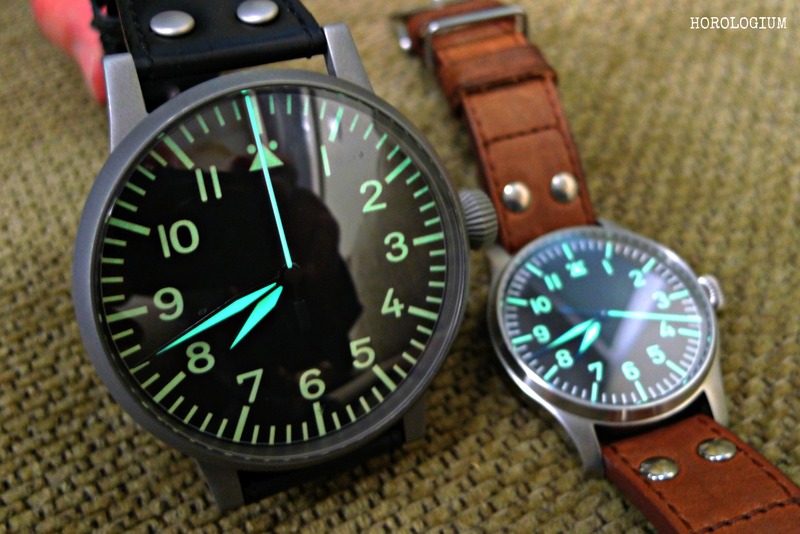 The watch is as you’d expect, quality wise, for Laco. 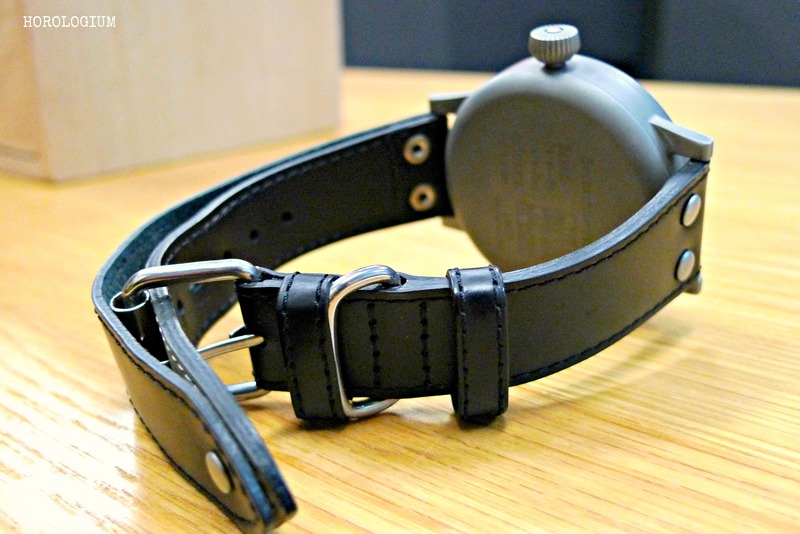 It’s a sturdy and pretty decent looking clock err watch. The blued hands could be improved in the sense that they are a lacquered blue, but the lume is nice and bright, and it really is a joy to play with this watch. What is most noticeable thing about this watch is how highly reflective the crystal is. I took these photos indoors at night, and it proved impossible, except at an angle, to not see myself reflected in it. An anti-reflective crystal would have been preferable. 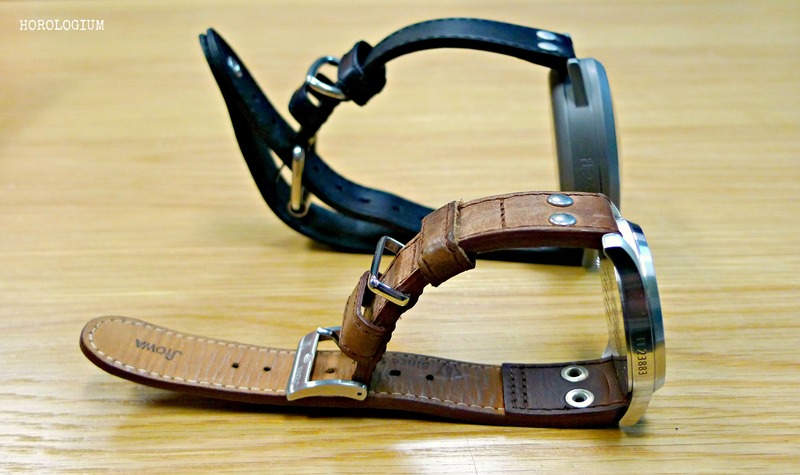 The strap is surprisingly versatile for a watch of this size, covering a huge range of wrist sizes from mine to even a 10 inch wrist, without difficulty. I neglected to try it over a jacket. As you can see, it’s a fraction too large for me. I brought along my Stowa as a point of comparison. It is a petite 40mm. The limited edition Lacos are popular. This one sold out pretty quickly from Laco’s own website, but it is still possible to find some for sale if you are interested in getting one. However, unless your wrist is at least 9.5 inches or you want one for collecting reasons, I’d probably advise caution before making the commitment.